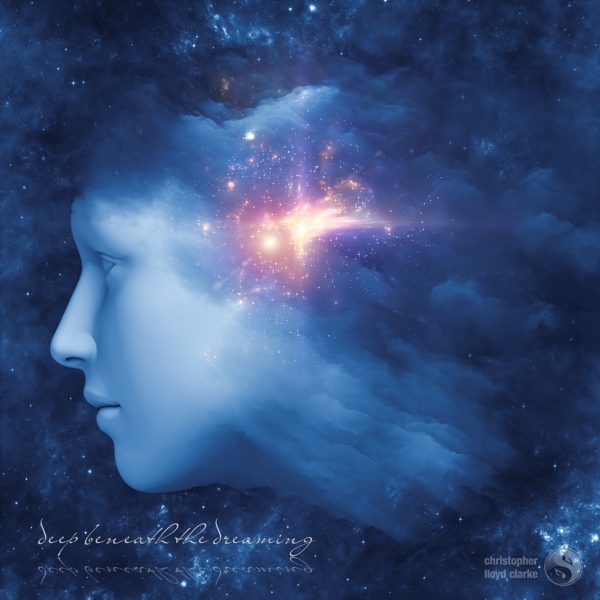 Composed primarily with Tibetan Singing Bowls, Deep Beneath the Dreaming is an incredibly relaxing musical experience with a mystical atmosphere and a sophisticated tapestry of intermingled sounds. The deep tones and extremely slow pacing of this music encourage mental deceleration and help the listener relax into very deep states of consciousness. This transcendent music is also a wonderful accompaniment to natural healing practices and energy healing. IMPORTANT - Please listen at a VERY quiet volume, preferably with your eyes closed. Headphones are desirable but not essential. 1. The 60 minute version of Deep Beneath the Dreaming. 2. The 60 minute version of the Subtle Edition. 3. The 60 minute version of the Oceanic Edition. This music was created almost entirely with Tibetan singing bowls which I bowed gently with a padded wooden mallet. This brings a soft, melodic tone from the bowls without any of the bright scratchy sounds that can often be heard when a hard wooden mallet is used. One of the largest bowls in my collection provides a very deep, sustained tone that is the backbone and the heartbeat of this music. The deep pulsing sound it makes is very hypnotic. For those who are interested in the subject of brainwave entrainment, I should mention that this large bowl oscillates at a frequency of 0.75 Hz – a deep delta tone. Unlike binaural beats and isochronic tones, which are usually synthesized, the oscillations produced by singing bowls are what I like to call “organic” brainwave entrainment sounds. What you are effectively hearing is a monaural beat created in a very natural and traditional way. This delta frequency is the most dominant frequency in the music, but other bowls contribute a variety of other frequencies ranging from mid-delta to low-alpha and everything in between. Long before synthesizers came along, singing bowls have been used to create sounds that encourage meditative states of consciousness. I think that this tradition is demonstrated very well in this music. Accompanying this layer of deep, pulsing sound are the sounds of additional Tibetan bells and bowls that mingle and intertwine in interesting ways. The deep tones tend to work on the body, inducing feelings of heaviness and drowsiness, while the higher tones have a more cerebral role to play - they give an active mind just enough gentle stimulation to replace excessive thinking with a state of relaxed clarity. This palette of sounds is certainly musical, but I’m sure you’ll agree that it is quite abstract at times. The music as a whole has quite a surreal feel to it. Deep Beneath the Dreaming is the result of intuitive performances played out over dozens of meditation sessions in my recording studio. In these meditative states of consciousness, the music would often stimulate visual imagery in my mind. In these deep states, musical tones would appear to me as slow moving coloured lights, like softly lit neon beams that would meander slowly through empty spaces - spaces that felt to me like some sort of cathedral or spiritual sanctuary. The word “Sanctuary” came into my mind often during this process and so I like to think that this is music that provides a feeling of sanctuary. It is wonderful music for when you want to retreat from both the noise of the outer world and from the noise that your conscious mind can make during daily life. It can take you even deeper than dream states (hence the title) to a place of wholeness and stillness. This subdued inner locale is a profoundly quiet, subtle realm – a sanctuary of deep rest and quiet nourishment for the soul. I realize that my description of the music might seem a little exotic, but using this kind of symbolic language is the best way for me to describe the kinds of images, feelings and experiences that this music led me through. I refined this music over the course of more than four months of testing (aka meditating) and careful consideration. I’m happy to say that it has helped me during some stressful times in my life and has been my musical friend for many afternoon naps. I can tell you from experience that, even though this music may seem a bit abstract at first, with repeated listening you’ll find that musical moments that seemed abstract initially, all start to feel perfectly natural and perfectly placed. Over time a familiarization and attunement process takes place and I think that for some people this will be quite transformative. Providing a sense of sanctuary or retreat. Accompaniment to natural healing and energy work. Providing deep rest and restoration to those suffering from burnout or an overwhelmed nervous system. Facilitating deeper levels of personal transformation. Helping with the release of sadness and other pent up emotions. Stimulating lucid dreaming and psychic awareness. If you are using this music for healing purposes, use the sound as a tool to help you focus and transmit your intentions. This music can really magnify the energy behind affirmations and intentions. The Subtle Edition is just that – a very subtle version of this music. After a very short introduction, you’ll hear nothing but the deep tone of the large singing bowl along with an ethereal soundscape layered on top. After the first 10 minutes, the tonality of this soundscape gradually becomes softer and more muted. I introduce this adjustment to help the music recede slightly further into the background of your awareness. I felt that this adjustment was the best way to provide the correct “musical support” for listeners who will start slipping into a deep state of relaxation after the first 10 minutes. The Subtle Edition stands up as a meditative music production in its own right and is a great option for those who prefer absolute simplicity in their music. It's a surreal "pillow" of sound that's very soothing and easy to listen to for a long period of time. A few weeks before releasing Deep Beneath the Dreaming, I found myself listening to a test version of the music on my iPhone at the beach one evening. The combination was so soothing that I decided to combine the sound of the large, deep singing bowl with a recording of ocean waves that I captured in Tasmania a few years ago. The result is VERY relaxing. I created The Awakening track to be used at the conclusion of guided meditations and hypnosis recordings. Use this track to help lift your listeners out of a state of deep relaxation with a smile on their face. This track starts very slowly, but soon enough a variety of musical elements arrive to liven things up. Gentle percussion, various chimes and a delightful Bulgarian piccolo flute all play their part to add sparkle, life and energy to the music. This track has a positive atmosphere that will add a touch of class to any spoken word recording. The Awakening track works with all editions of Deep Beneath the Dreaming. To use this final track during the "return" or "awakening" stage of your recording, all you need to do is simply fade out the music of Deep Beneath the Dreaming while fading in The Awakening track. I’ve created The Awakening track in such a way that you can overlap the two (this is known as crossfading) at just about any time. You don’t need to wait for the main track to come to an end, just fade it out whenever it suits you and fade in The Awakening track simultaneously. I suggest an overlap of 10 - 15 seconds. This provides a seamless transition that sounds like one continuous song. Both tracks are in the same musical key so the transition from one to the next will always sound natural.